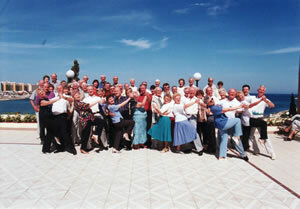 Celebrating Decades of Dance Holidays - the Holiday and Dance Picture Album! 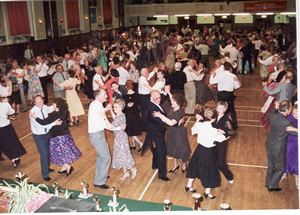 While we're very much a dance holiday company with an eye on a fresh, modern approach to dancing we do have a history that takes us back a fair number of years! 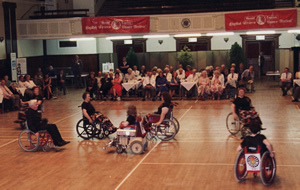 Looking through our archives, we've come across some interesting pictures that we thought would give you a smile. 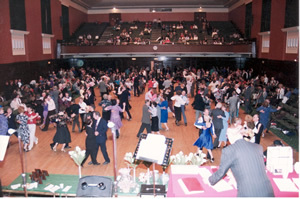 Those of you who weren't yet born in the era of Strictly Ballroom may find themselves thanking their lucky stars! 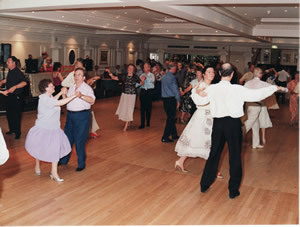 That said, whether 20 years ago or in these heady days following the explosion of Ballroom and Latin dancing from shows like Strictly Come Dancing, all our holidays offer a fabulous experience for all dancers - from those just beginning to keen social dancers and avid competitive dancers. 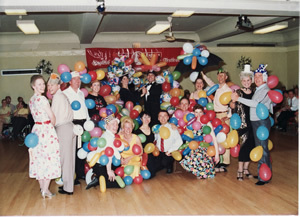 If you have a story or pictures (electronic versions only please) from any of our three decades at the Riviera Dance Festival, or from any of our dance holiidays, we'd love to hear from you. Send it in an email to Holiday and Dance and we'll post it in our Holiday and Dance Diary. Do you recognise yourself in any of these pictures from previous Festivals and Holidays? 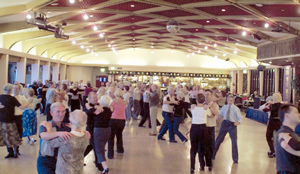 We've had the enormous pleasure of working with some of the world's most eminent dance champions at many of our events and holidays, none more so than the English Riviera Dance Festival in Torquay. 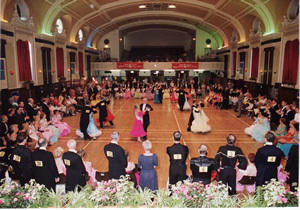 Over the decades, this wonderful dance festival has played host to many stars of the dance world, you may recognise a few of the names here from past and present! 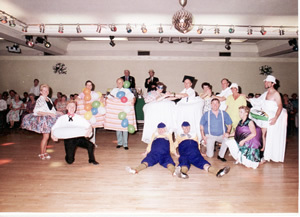 A decadent cabaret held at one of our '90's Festivals! Recognise anyone here? The most balloons wins at the Festival! Anyone know who walked away with the prize? The Widest Girth Competition - who won this one then? ?